Hey, wanna see something gross? Yesterday my two and a half year old asked me, out of the blue, if Max has a boo boo. I answered, “probably,” because that 4 year old Andalusian knows how to find trouble. 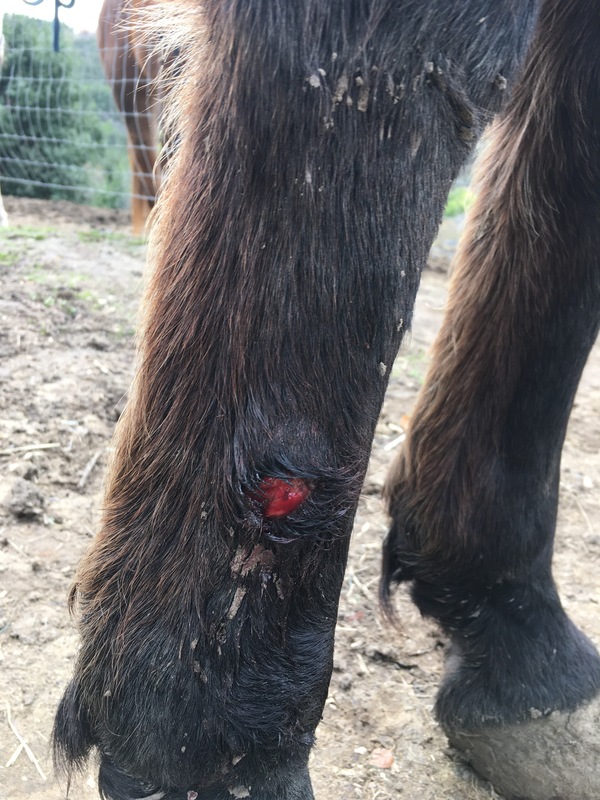 This post is a collection of the pictures I’ve recently sent owners and vets via text message, and that have been sent to me for my advice. Maybe you will learn something by looking at the photo and my comment, or maybe it will be a fun game for you to see if you can spot the problem before reading the caption. The aforementioned Max came in with a cut and lump. He was a little bit lame, so he didn’t get worked that day. Generally I would have dressed the wound and covered it with a standing wrap. 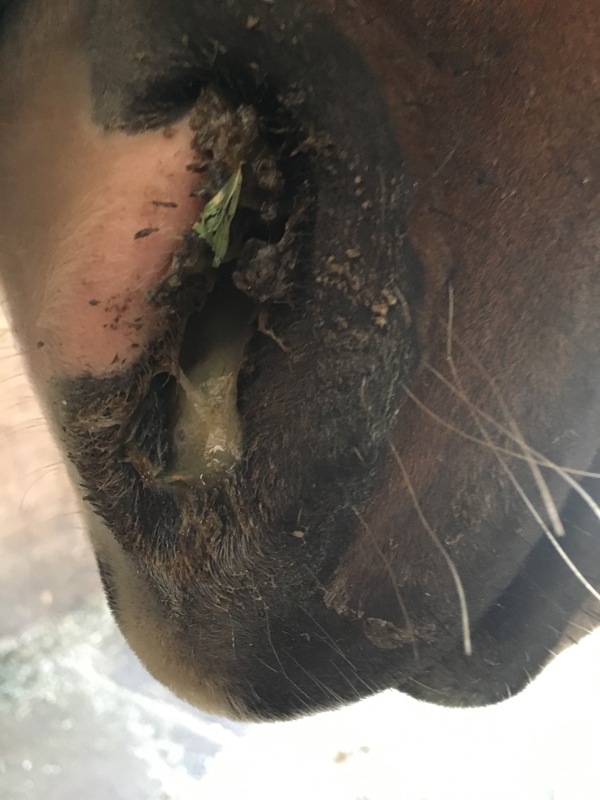 Max is a bit of a special case, so he got antibiotic cream, fly repellant ointment, a kiss on the nose, and back to pasture. Max again, same injury, one week later. The wound looks worse because Max likes to chew on his scabs. The swelling was pretty much gone, and he wasn’t lame, carrying heat, or tender to the touch so he got ridden that day. We did the ointments again and eventually it healed up. Rooster is looking a bit, erm, thickened. Turns out he was stocked up in his sheath from recent inactivity. 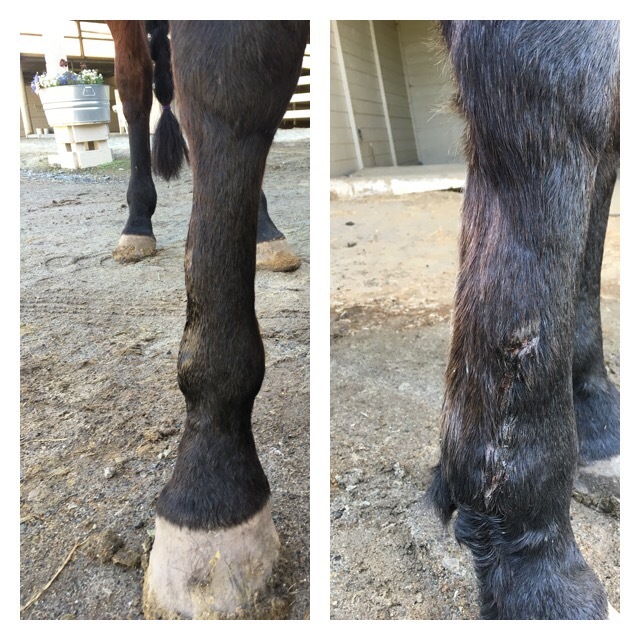 We didn’t do anything to this, and his sheath returned to normal size with regular exercise. Farrah had some serious snot coming out of her nose. A little clear or white mucus is no big deal, but this greenish snot looks indicative of infection. Taking the horse’s TPR would be a good indication of the urgency of the situation, so be sure you are prepared to do it. Sniffing the odor coming out of her nose and tapping on her sinuses would also help diagnosis. However, as advanced as technology is, I can’t take TPR, smell snotty noses, or tap on sinuses through my iPhone. YET. Max again. See that nail in his foot? That’s not supposed to be there. However, it is a horse shoe nail going through the spot where a horse shoe nail should be. I tried to pull it out and couldn’t. 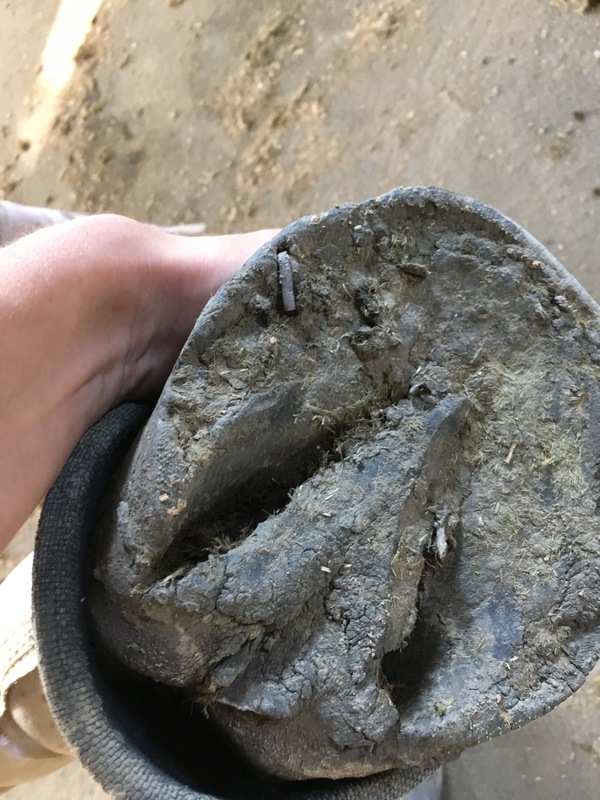 It ended up falling out on its own before the farrier could arrive. Had this nail been in another part of his foot, it would have been a freak out emergency. Sookie’s other eye is open. This eye is closed and she’s crying like her boyfriend broke up with her for a cheerleader. I don’t mess around with eyes. My suspicion was of a corneal scratch so she got to see the vet on the same day. She did indeed have a scratch and got prescribed drugs and darkness. Eye maladies can be time sensative, and as they say, it’s all fun and games until somebody loses an eye. Oh, Bucket. This is an old picture, but one of my favorites. Bucket’s owner asked me to check if he was unsound. Guess what, he was unsound. 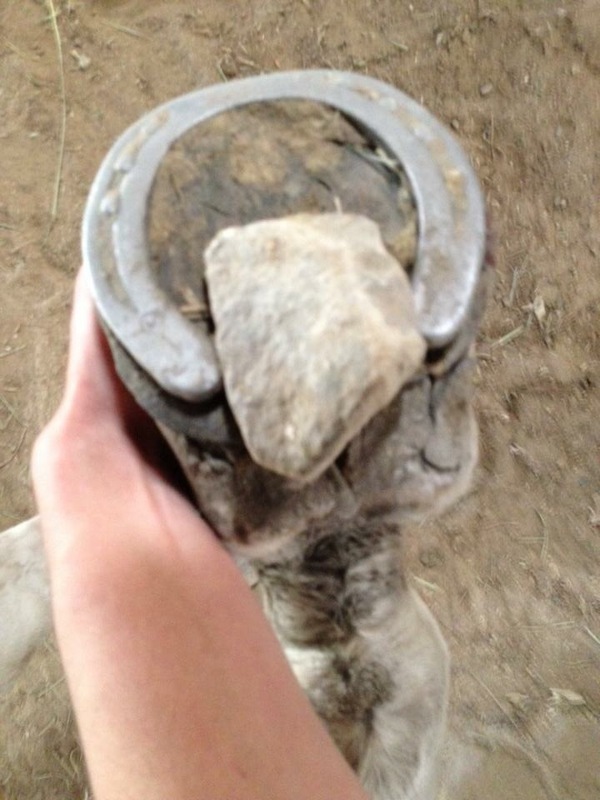 Upon picking up his foot, I saw this and texted the owner that I think I know why her horse is lame. Incidentally, it took a second person and some tools to get this rock unstuck. I’m definitely not a vet, my low calculus and chemistry grades in college put an end to that idea. 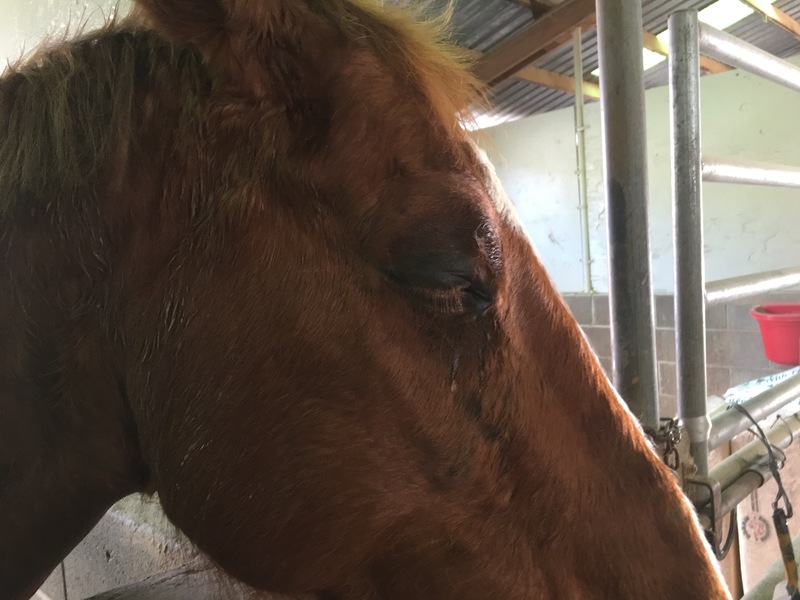 But I am a horse trainer, and a horse trainer should know when to call a vet. A horse trainer should also know how to treat something minor. A horse owner should at least have friend to send a picture to for advice. 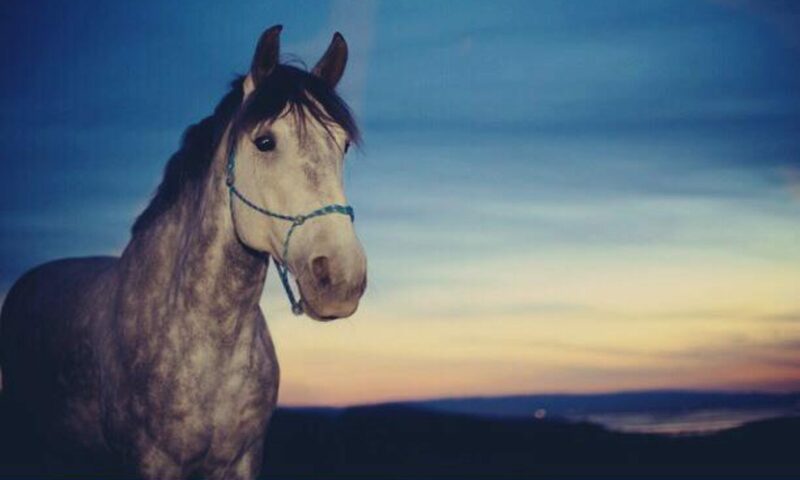 About the author: Ali Kermeen loves horses, and loves educating others about horses. She once tried an office job in human resource for a few years, but prefers bossing people around about their horses over bossing people around about corporate policies. Ali loves learning new things, mostly about horses, but also about raptors, history, and general trivia. I am thrilled that Suki made the list. I fully predict she will out perform Max on the injury roster.